When we think about blender, I think of a crushing machine. A machine that can crush ice and everything that I may find in my fridge. Ices, fruits, vegetables. But when we open our eyes we think about the price tag. It must be reasonable. But there is an ideology that lower price tag means lesser quality than this thinking is not applicable for Ninja Professional Blender NJ600. I am studying about it for a few days over online and had a look at a lot of user reviews. I found it pretty impressive. At least its popularity says it! Nothing can be better than this within a budget of 100 bucks. I hope this article will make you understand everything you need to know about this blender. Have a closer look at this blender. What do you see? Apparently, the first thing would be its powerful motor. The second thing would be the unique type of blade assembly. So this is not an ordinary blender. NJ600 professional blender also comes with a large pitcher. 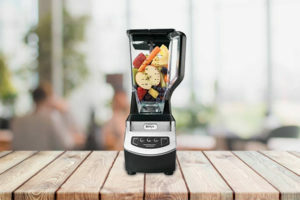 It turns fruits vegetables into smoothies and soup in a matter of seconds. Ninja’s six-blade technology is a revolution. In an ordinary blender, you have to push the blending materials inside after a certain period of blending. But in ninja nj600 professional the blades will do those things for you. So you can prepare your dishes for one or all of your family without any hassle. * A 1000 watt powerful motor. * Total crushing six blade assembly. *A BPA free 72-ounce pitcher. *Dishwasher safe pitcher with a pour spout. What to do with Ninja Professional NJ600 Blender? 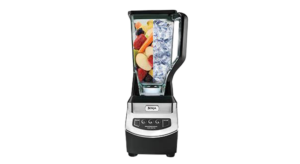 This is an excellent blender for professional use.It will do grinding, smashing, making smoothies and soups for you. Its powerful motor will make you satisfied with its unique blade assembly within few seconds. 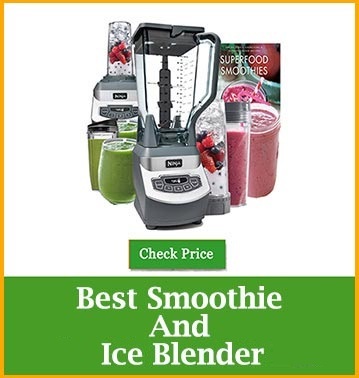 All the user reviews say its performance is excellent in crushing ice.It makes excellent smoothies just like its next version Ninja Professional BL610 Blender. All these things are done with a fantastic price tag which is lower than 100$.Are you looking for a professional kitchen component within a limited budget? No need to think any further, just go for it! It’s a great blender. A high-speed motor with three-step power adjusting system. A large pitcher of 72 ounces. Powerful and efficient blending technology with six blade system. Pitcher, lid, and blade are BPA free and dishwasher safe. NJ600’s motor base doesn’t slip during use. Mechanism of this blender may not give satisfactory performance for heavy use. A disappointing performance in making green smoothies. It seems to chop those items rather than making smoothies. Otherwise, it’s okay. Sometimes the customer service is not that much good.So you might find it patchy. Should I buy NJ600 Or not? The answer to this question may vary from person to person. Apparently, this one is a good machine. It will serve you on a regular basis. But its performance on a heavy use may not fulfill your expectation. So If you are a heavy user, you might choose one from Vitamix or may select one from Blendtec. 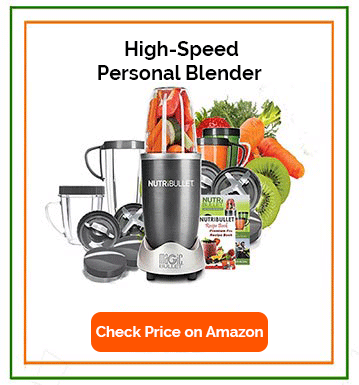 Or you might decide another powerful blender within spending much like The Ninja Mega Kitchen System Blender. It will cost more money than Ninja NJ600. But if you want a good blender on a lower budget, then Ninja Professional Blender NJ600 will be the best choice for you. This is a good quality blender that does not cost a fortune.